I realized today that I haven’t been eating much fruit lately. I forced down some oranges earlier in the week but have otherwise had no appetite for fruit… or really, any food. I wanted to be good today, so I snagged an apple from my sister’s kitchen and sliced it up into wedges. 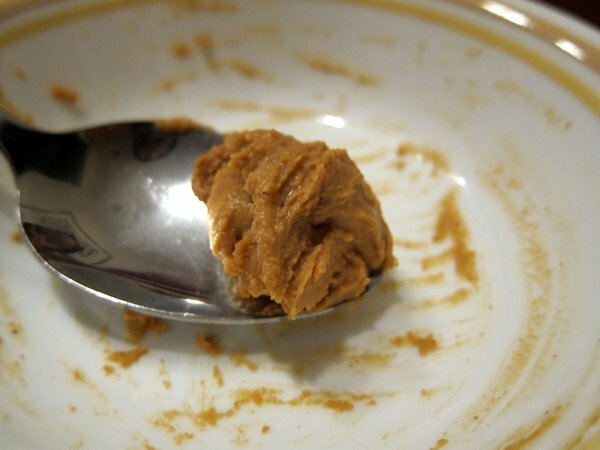 To make things more fun and interesting (and inspired after rummaging through my nieces’ Halloween candy), I took a heaping tablespoon of peanut butter and softened it by heating it in the microwave for 10 seconds, stirring it, and then heating it for another 10 seconds. 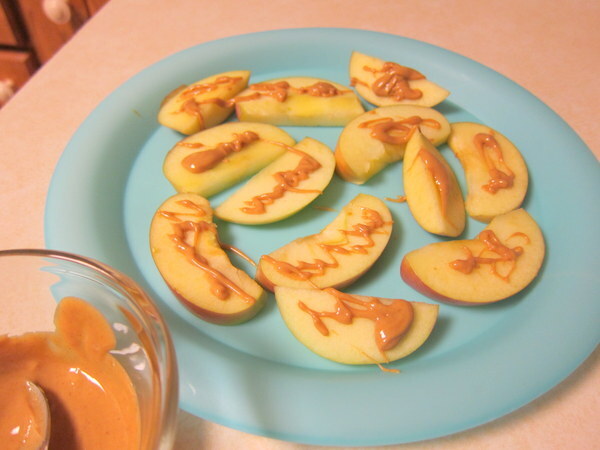 I took the melty peanut butter and drizzled it on the apple slices. Voila! 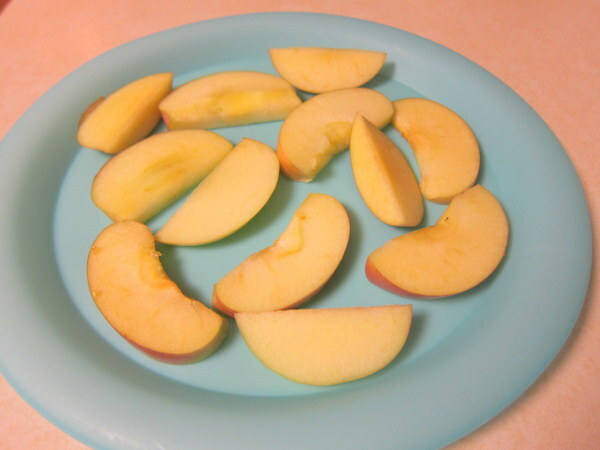 One of the easiest snacks ever! Brent and I like to play video games together. Nothing says “gamer” like junk food so that’s where this is headed. All you really need is tortilla chips and Daiya but crumbled seasoned tofu, olives, chopped jalapeño, diced tomato or onions, salsa, Tofutti sour cream and a lot of other things can help bring your nachos up a notch. 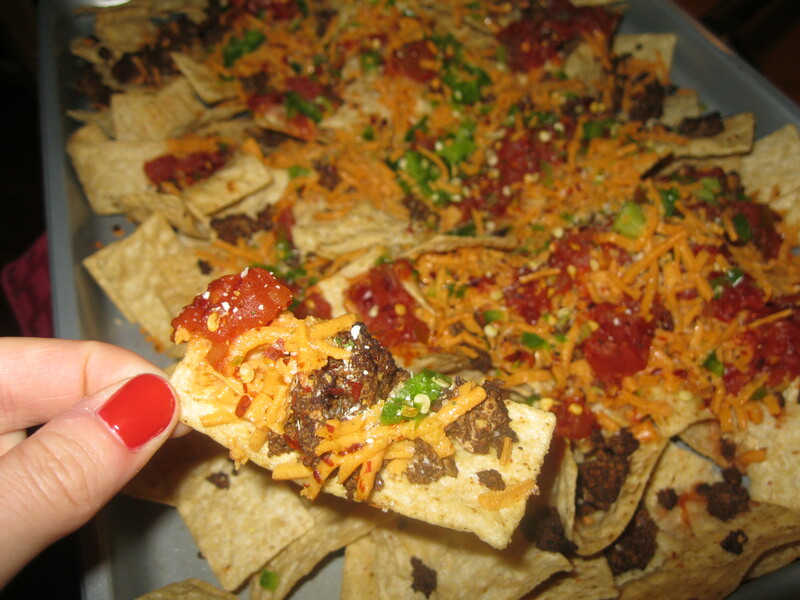 We baked ours in the oven to melt the Daiya after adding seasoned crumbled tofu, salsa, jalapeño, onion and salsa. A little fresh cilantro would have made this unstoppable but its absence didn’t stop us from devouring it. I le recommend, especially if you’ve got a football game or a video game in your future. I’ve got a thing for kale. It’s among my favorite green leafy vegetables and I love a lot of them so that’s saying something. This is a little known fact among carnists but I know most vegans out there are nodding their heads when I say that kale makes great chips. Today I’m telling you about 3 different brands that Brent and I have tried. 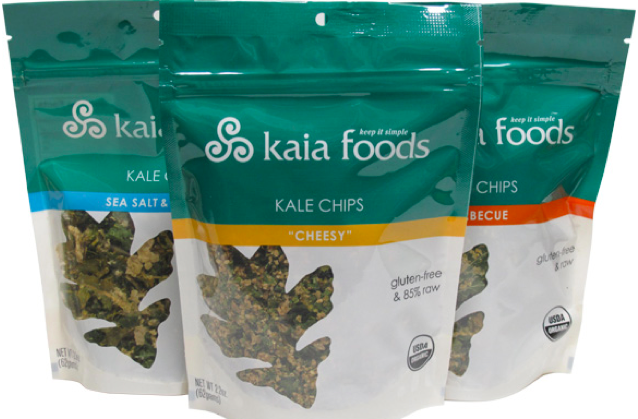 Kaia Foods makes 3 different flavors of kale chips: barbecue, cheese and sea salt and vinegar. I found the taste to be bitter and the chips were crushed in their bags. They’re gluten-free, nut-free and soy-free. They’re fairly inexpensive so far as kale chips go at $5.89 per bag. New York Naturals is one of my favorites. It comes in Bombay ranch, cheese, spicy miso and sea salt and vinegar flavors. Bombay ranch was my favorite with a creamy, tangy flavor with a hint of curry to it. The sea salt and vinegar was very salty which is saying something because I dig salt. The kale chips were huge [mostly] intact leaves covered in delicious flavorful cashews. Just watch out for the stems… they’re like twigs. They’re fairly high in calories but are a great alternative to junk food that’s made from junk. 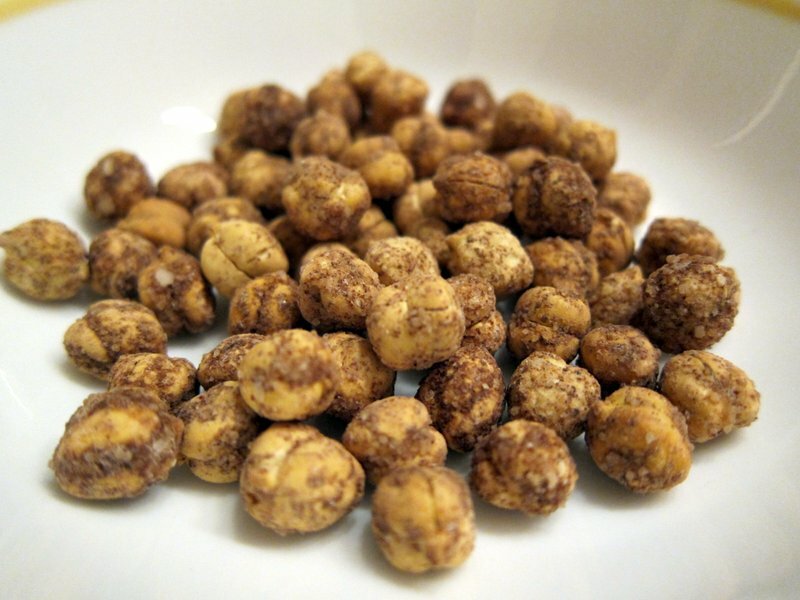 These contain soy and nuts but are safe for people with nut or gluten allergies. They cost $7.99 ber box but I think they’re at least worth giving a try if you’ve got some spare cash for a new mouth experience. 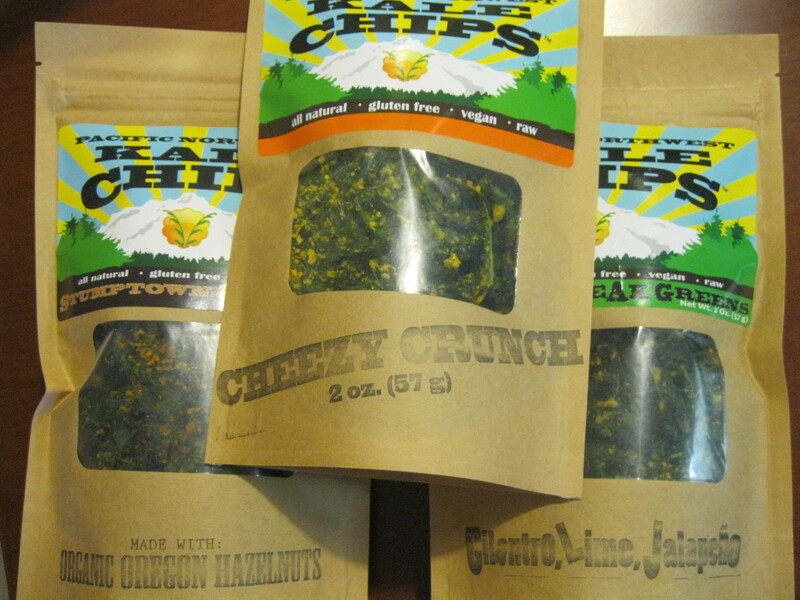 Pacific Northwest Kale chips come in cheezy, cilantro lime jalapeño and Stumptown original. Stumptown contains hazelnuts and the other 2 contain cashews so be aware for those with nut allergies. 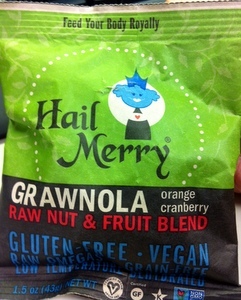 The flavors are kind of awesome and I particularly liked the Stumptown original; it was subtly spicy and cheesy. Unfortunately they did get stale quickly in the Florida humidity but I think that’s unavoidable here. They also got crushed in the bag so it was difficult to get both the flavoring and the kale into my mouth (not as bad as Kaia Foods). They cost $8.99 per bag. 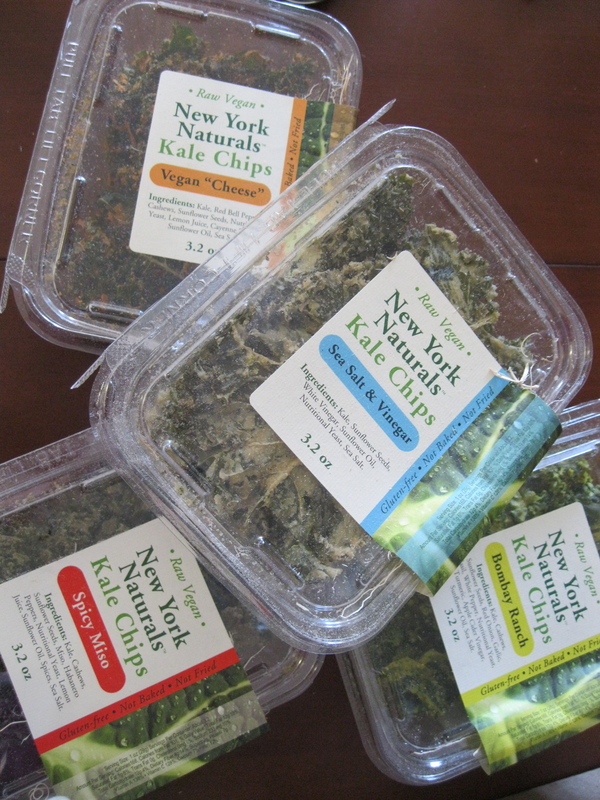 If you’re in the market for kale chips, I’d recommend the New York Naturals. What New York Naturals did that the others didn’t was to put their chips into a box. This keeps the flavoring on the kale and the kale intact so you get chips instead of crumbles. So now you know Brent’s and my favorite is NYN but if you’ve got a dehydrator you’ll end up with the best product if you make it yourself. Kale with a touch of olive oil and sea salt is my favorite of favorites. I was browsing at ‘rhymes with Schmole Broods’ today and came across SaviSeeds by Vega. There were small packages, perfect for tasting, so I grabbed the Oh Natural and Cocoa Kissed pouches. I ended up staying late at work and was highly caffeinated, very much needing a snack as I waited to meet up with my sister for dinner. So I grabbed the Oh Natural bag and decided there was no better time than right then to try them out. 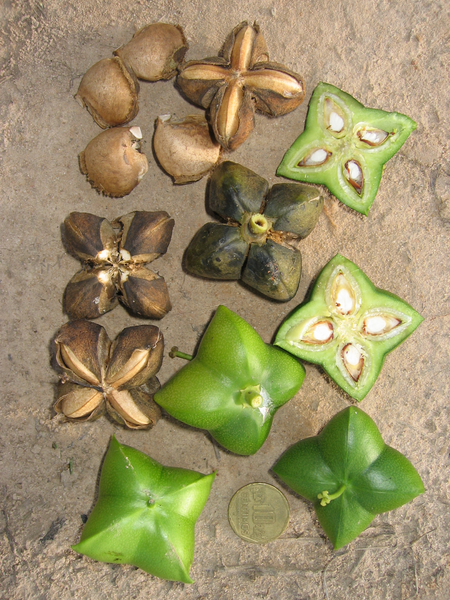 I have never heard of sacha inchi seeds before. 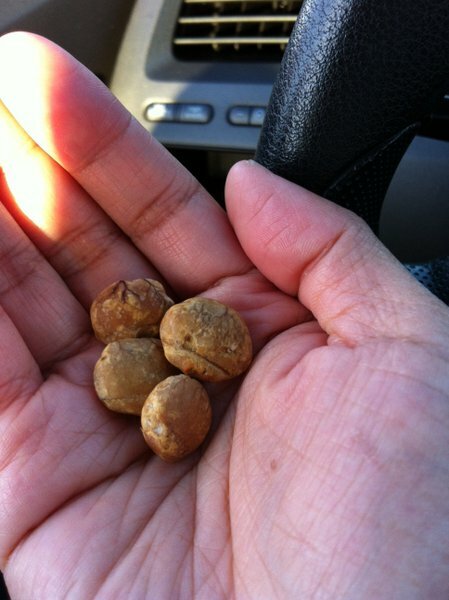 They mostly remind me of peanuts, but the more I ate, the more I found them to be a giant, hearty seed — which is exactly what they are. The Oh Natural version is seasoned only with sea salt. These seeds were delicious and easily tied me over. 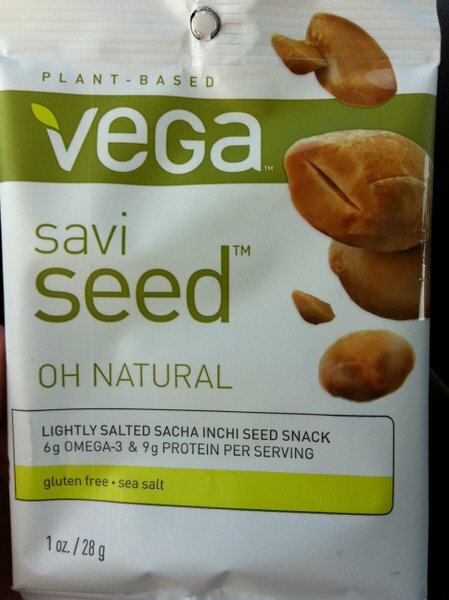 These guys are gluten-free and have 6 grams of Omega-3 (according to the package, they are the richest plant-based source of Omega-3) and 9 grams of protein per serving. AMAZING! 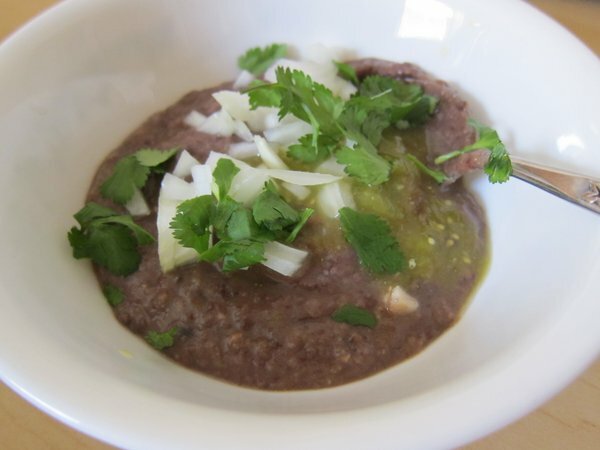 I was craving bean dip but didn’t want something too thick or chunky, so I made some slightly runny bean dip. 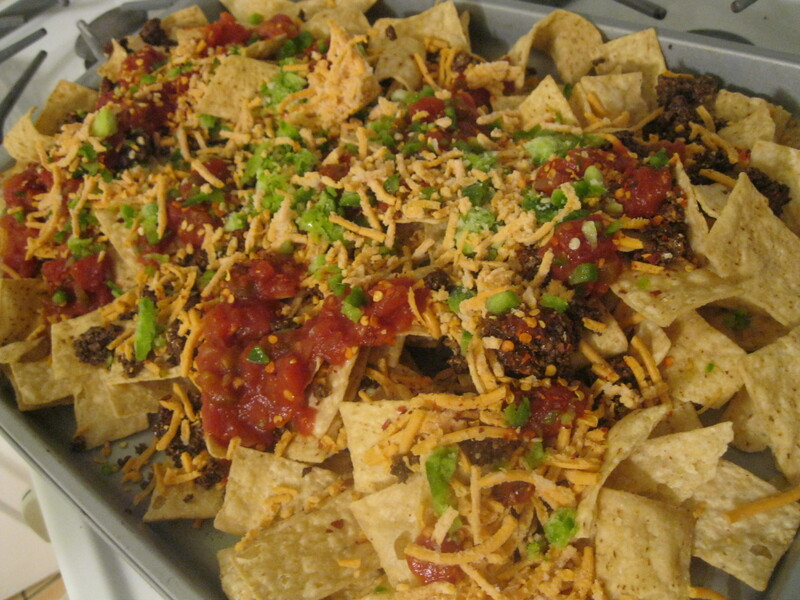 I topped it with some diced onion, cilantro, and salsa verde and noshed on it with some tortilla chips. Did you hear about our giveaway? Read this post for all the details and thanks for visiting Turning Veganese. You are awesome! I was talking to a friend who’s a vegetarian (Hi, Yamini!) when she asked if I had heard of PB2. I had not. So she gave me some to try. How awesome is that? 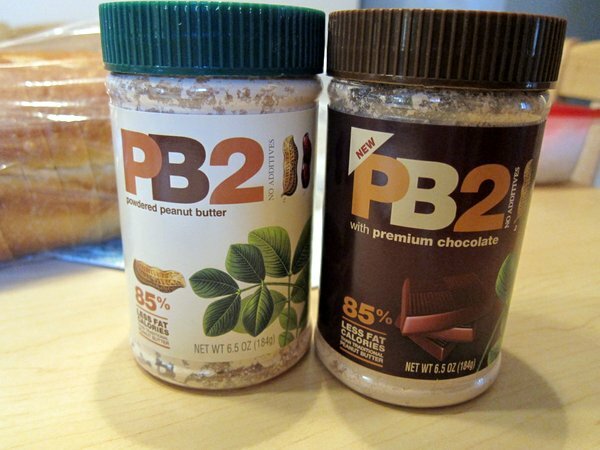 PB2 is a powdered peanut butter product. Say what? Yep. 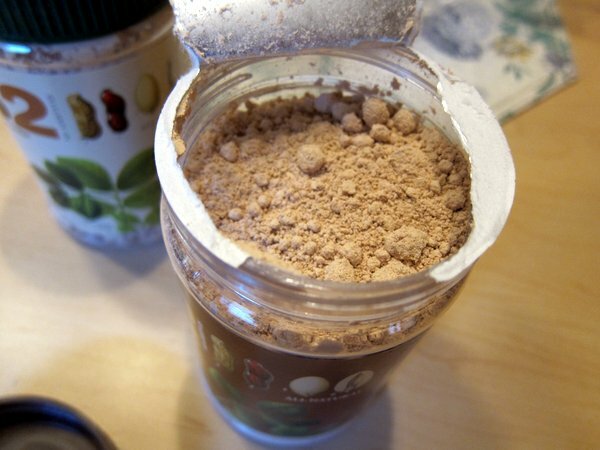 Powdered peanut butter. AMAZING, right?! Making the peanut butter is easy. Simply mix 2 tbsp of the powder with 1 tbsp of PB2. Adjust as needed if you want something more runny or more thick. I’ll admit that I wasn’t completely blown away by PB2, but if I hadn’t known that it started out as a powder, I would have been fooled. My six-year-old niece tried some, and she loved it! I do wonder why sugar was added; not a huge deal, though. I prefer traditional peanut butter, but the nutrition facts speak for themselves. I sometimes go several days in a row when I eat peanut butter and toast for breakfast. 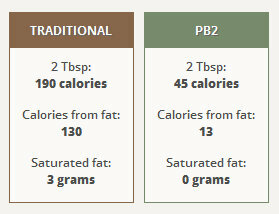 The lower fat and calorie content, along with 5g of protein per serving, makes PB2 a GREAT option. In addition, having peanut butter in powder form makes it easy to mix into smoothies or when baking and cooking. I definitely intend to use PB2 next time I make kare kare. 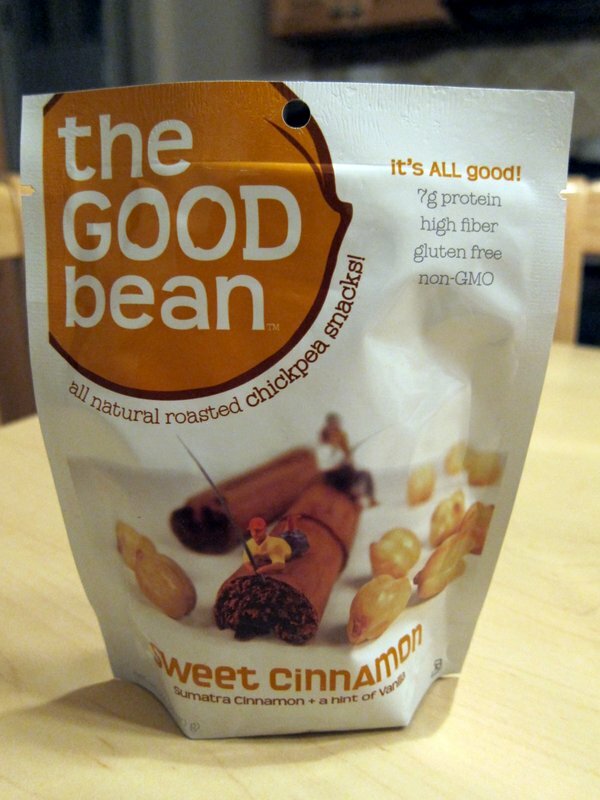 The Good Bean is based in Berkeley, CA, so it’s funny that I discovered them in another country. (There is only one store near me that sells their products and it’s a store that I have never been to.) The packaging tells you everything you need to know about their snacks: lots of protein, high in fiber, gluten free, and non-GMO. I tried the sweet cinnamon flavor. It has a very subtle cinnamon flavor that is well balanced with vanilla as well as a nice hint of salt. The beans themselves are as hearty as you would think, which means that you’re not likely to eat the whole bag in one sitting. Yum! Rose is one of my favorite flavors. I’m not big on the flowers themselves but as a food ingredient I think rose is the bees knees. I’m known to add a little rose syrup to a glass of sparkling white wine every now and again (I especially love Spanish cava!) so I’ve got rose syrup just lying around. I have long wanted to make rose pistachio rice pudding but have been too lazy to cook rice… that’s kind of sad. 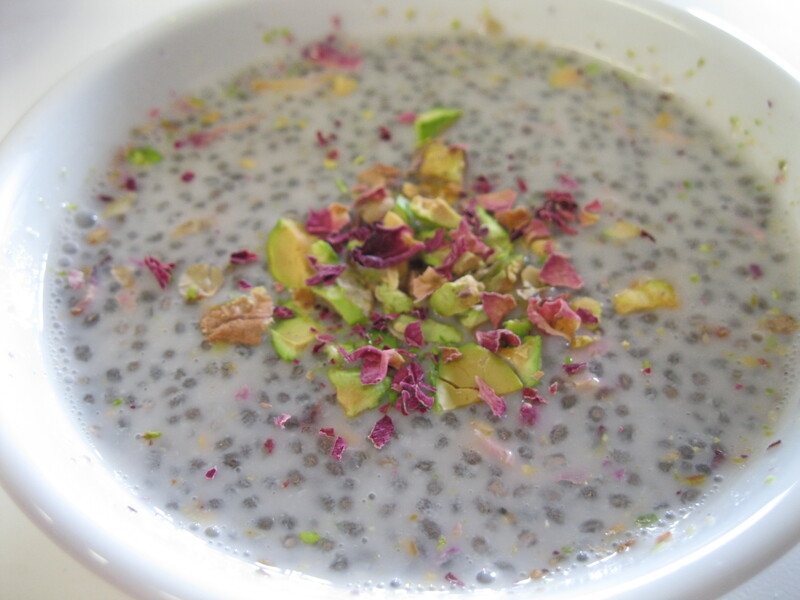 Anyways, I was recently introduced to the joys of chia seed pudding and it’s quickly become a house favorite. I shelled and crushed the pistachios and mixed them into the pudding and garnished with a little pinch of petals and nuts. 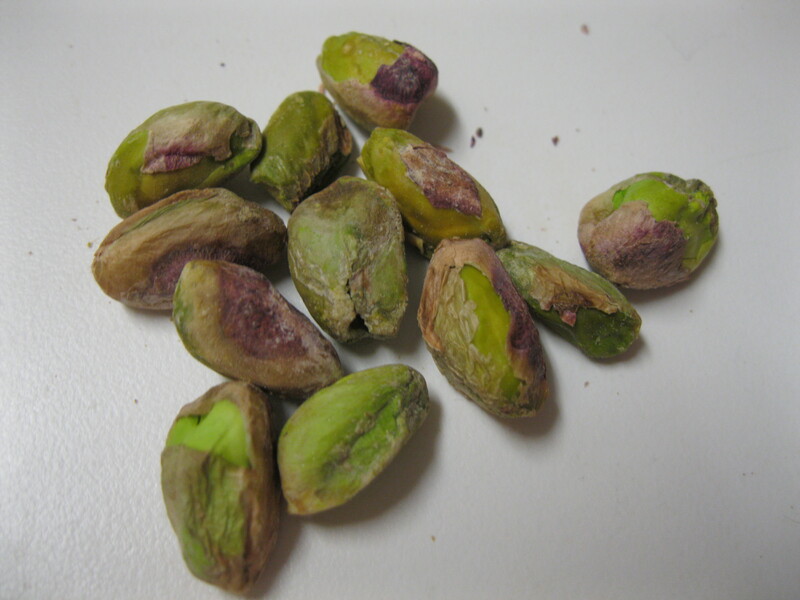 I LOVED how the nutty, salty vanilla roasted flavors in the pistachios picked up the delicate rose and made it warm and earthy in addition to being deeply floral. I love how the pink rose petals offset the green of the pistachios against the calico pudding. The petals aren’t necessary for good pudding, I’m just secretly artsy. If you use your own petals, be careful that they weren’t treated with any chemical herbicide, pesticide or fungicide that might make you or your family sick. This is common with roses you might buy at your local florist. It happens in the afternoon, on the long commute home from work. Or, it happens after a busy morning running errands or shopping. I get hungry, so very hungry that I might pass out! It’s at these times that I always think of Christie’s apple chips. I am usually ill-prepared for snack attacks, though. Luckily, my sister introduced me to a healthy (well, healthier than a candy bar or chips) snack: True North Peanut Crunch. This stuff is vegan, delicious, filling, portable and keeps well.